The Content Manager is responsible for overseeing the day-to-day management of the editorial content strategy between Society and Partners. The Manager will build relationships with Partners editorial leads and ensure coordination between internal Society teams and all editorial units at Partners. This position leverages content and storytelling opportunities created by Society’s Explorers and programs into new opportunities for Partners while also identifying strategic opportunities to include Society content and talent in ongoing Partners projects. Supervising the work of the Coordinator, Impact Media, s/he will ensure tracking of opportunities, pitches, and editorial coverage. Design and create pitch materials (both written and video). This position serves as the primary contact for editorial talent requests and pitches, working closely with Explorer Programs to identify the right candidates. At least seven years experience in the media and communications industry leading development of content, talent, and storytelling across multiple platforms. Familiarity with National Geographic programs a plus. Strong operational and editorial skills. 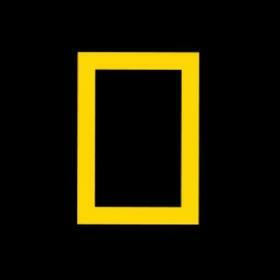 The National Geographic Society was founded in 1888 with a mission to "increase and diffuse geographic knowledge." As one of the world's largest nonprofit scientific and educational organizations, the Society works to inspire people to care about the planet.